Ignite and Imagery + 3 is a hip hop/soul band from Winston Salem North Carolina. 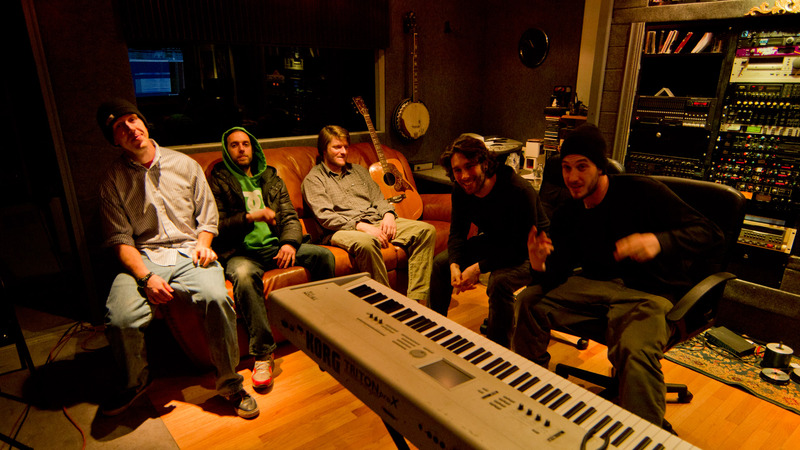 Their sound is an eclectic mix of The Roots, Wu Tang, Motown, Reggae, and Progressive Rock. They play everything from slow soulful songs, to mosh pit inducing jams with high speed raps. They put on a high energy live show, where the number one focus is for everyone to have fun. The two MCs have an onstage energy that builds off of one another, and you can tell that they have been rocking together since high school. They’ve performed and recorded for years as Ignite and Imagery, but when they got together with a band of talented friends, things really got interesting. Everyone brings a little bit of their own influences to the mix, and the result is a very original sound underneath lyrics that you can relate to. The MCs work extremely hard on their wordplay, but none of that matters if the flow doesn’t sound good. Too many MCs sound good but are lacking in lyrical ability, or vice versa, but Ignite and Imagery believe that you can have both. These days there are a few good singer/rappers, but few can do both as proficiently as Imagery. He has a surprisingly soulful singing style that can go from as smooth as Marvin Gaye, to as gritty as Otis Redding. His style compliments the band in a way that just feels complete and satisfying. Ignite and Imagery plus 3 is on a mission to create great, original sounding music, have electrifying performances, and have a blast while doing it.